As a longtime racing video game lover, I’ve always wanted to be able to get completely immersed in the virtual racing and driving experience. I mean, having a racing wheel attached to your desk with pedals is OK and a definite step up from the clumsy controller, but not by as much as we’d like. Yet, that’s about as far as the common man can afford to go. Sure, they have full-on racing seats with wheel and pedals attached, and those are great. Some even go as far as to extend the first-person view onto three screens for you. But we’re still missing a few essential forms of feedback – G-forces, mainly, but also the tactile response of the steering wheel, the pedals, the vibration of the engine . . . too many to list (let’s be honest, Force Feedback is crap). So what’s the obvious solution? Create a virtual world and race track, of course, then put yourself into a real car! 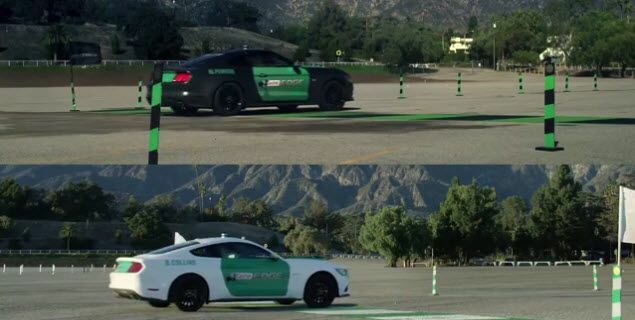 Wearing a virtual reality helmet, with a virtual race track filled with obstacles, and creating two coned-out versions of the track in real life, Castrol was able to put Ben Collins (the old Stig and UK racing legend) up against Formula Drift star Matt Powers in two 2015 V8 Ford Mustang GTs (filled with Castrol EDGE, of course) in the real, and virtual, world. 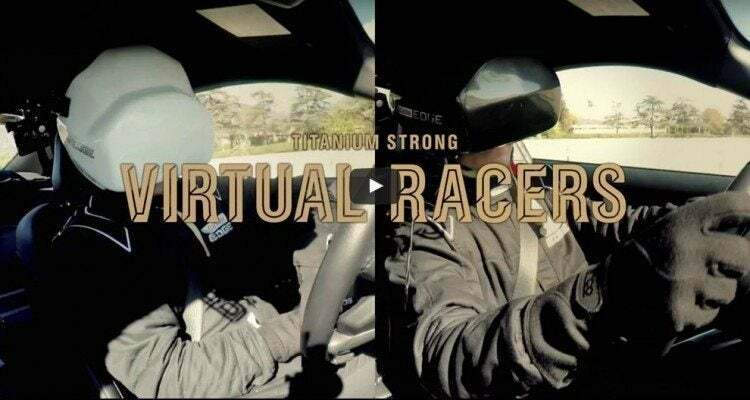 In their latest Titanium Trials challenge, Virtual Racers, Castrol managed to get these two famous racers to do what most sane humans would consider terrifying – driving at high speeds around a track without actually seeing what they’re doing. In the virtual world, of course, the tracks matched together perfectly. But I’ve worn some VR goggles in the past that put me into some basic virtual environments, and let me tell you, it’s disorienting; hearing things around you that you can’t see, and not really knowing where you are. I couldn’t imagine flying full speed around a track. Hats off to these gentlemen. Disclosure: This article is sponsored by Castrol. All views and opinions expressed here are my own. Check out our advertising guidelines to see why we’d never steer you wrong. No Comments on "Matt Powers vs. Ben Collins in Virtual Racers [Sponsored Video]"